We know what you need and we understand what you do. Our Specialist Recruiters know your industry! The Winner of 2017 top Agency Diamond PMR.africa Arrow Award, Afrizan is an industry leader. We have won 15 PMR.africa Arrow Awards in 5 years. 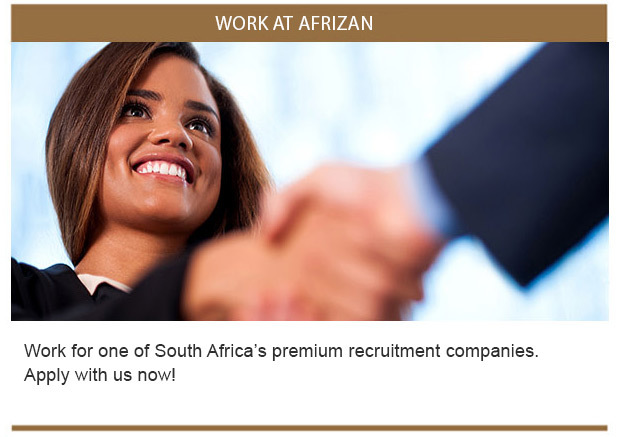 Afrizan recruits only the cream of the crop for South Africa’s finest! A number of our clients are some of the JSE’s top listed companies. View our list of vancancies, search for a role relevant to you and submit your CV to apply. 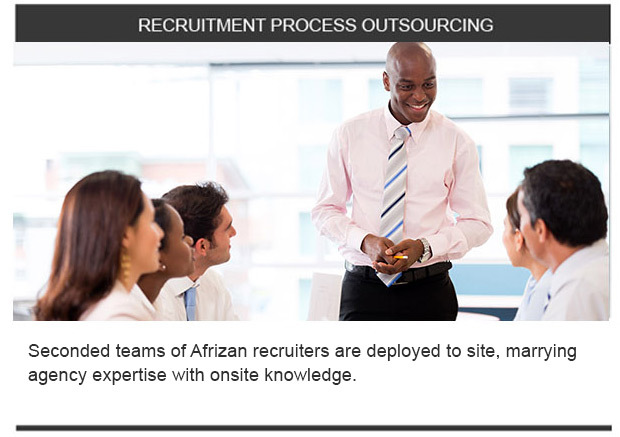 View our list of temporary and contract roles, and apply to become an Afrizan Contractor. For clients who require a temp for a day to those looking to employ a contractor for a short-term project. Join our prestigious pool of front office & admin professionals. Our strength lies in matching candidates accurately to client's needs through an established process of rigorous industry-specific screening and selection. Revolutionize your reception with outsourced front office & administration professionals. Incubate skill & launch careers while accessing graduate talent on an as-needed basis.